Dani Beyer Real Estate is a premier group focused on the Kansas City Northland area. 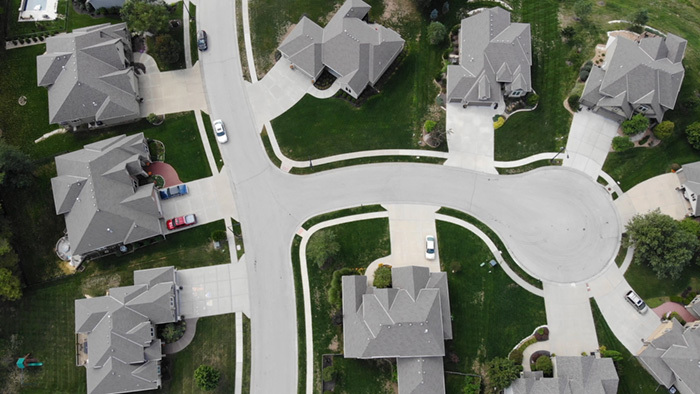 While working as a coordinated team to execute efficient and stress-free home sales, they have built a solid reputation in the community. Many of their clients are referred by satisfied home buyers, and many clients choose to make Dani Beyer Real Estate their go-to realtor for life, returning again and again as they progress through different stages of homeownership. Even though Dani Beyer is known throughout the area, they wanted to extend this reputation to showcase their outstanding team dynamic. They turned to SJC Marketing for help in creating a strategic marketing plan. We began working on a strategy to showcase Dani Beyer as the brightest and most innovative agency in the Kansas City area. The strategy included implementing a video marketing campaign that focused on creating engaging video that would endure through the fast turnover of their product. We also generated content designed to highlight vibrant teamwork, demonstrate expertise in the real estate market and add SEO value to organic searches. SJC was excited to produce videos featuring breathtaking views of Kansas City homes while introducing team members from Dani Beyer. We also implemented a focused social media strategy which led to an increase in social media engagement, with average monthly post likes on Instagram increasing more than 20 percent in three months. 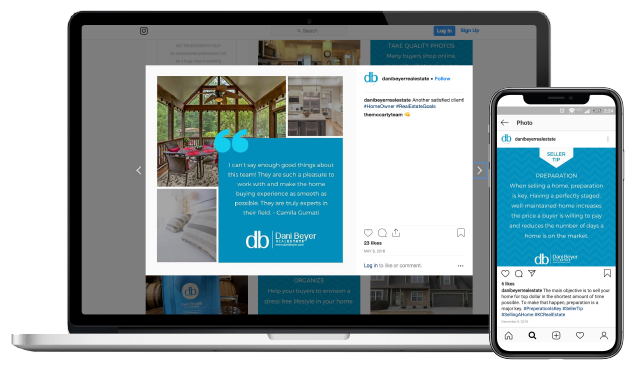 Dani Beyer has also gained more positive reviews since increasing the investment in social media engagement, with one customer even leaving a competing agent to shift their business to Dani Beyer. One year ago, and before Dani Beyer began working with SJC, their average position for PPC was 3.8, with one campaign running that resulted in zero conversions. As of February 2019, the average position is up to 1, and there have been nine conversions in February 2019 alone. With three campaigns running, there were a combined 577,000 impressions and 969 clicks in the month, compared to 9,900 impressions and 279 clicks total in the same month in 2018. Also since working with SJC, Dani Beyer’s brand has gained serious traction. They were recently identified as the #1 agent in the 64155 zip code as well as landing in the top .01% of Kansas City realtors overall. With a focused, yet macro approach to marketing SJC has been able to expand the Dani Beyer brand recognition, making it clear that when a homebuyer partners with them, they’re getting the best in the Kansas City area.